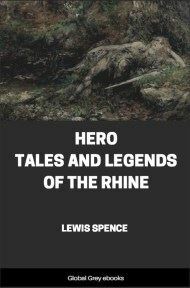 This is Lewis Spence's retelling of the legends and sagas of the Rhine. 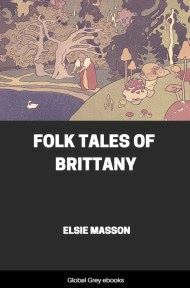 Many of these tales have supernatural or pagan elements, although most are set in the middle ages, with the crusades, chivalry, knights, damsels in distress and castles. Many stories center around desperate bargains with the devil. 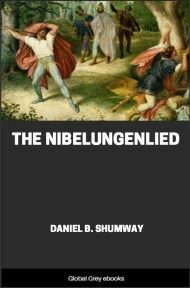 One of the best parts of this book is Spence's discussion of the historical basis of the Nibelunglied, its relation to the Icelandic Volsung saga, and other lesser known Mediaeval sagas. 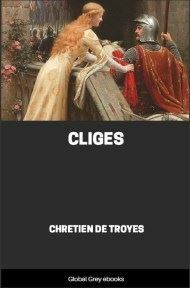 There are many rivers whose celebrity is of much greater antiquity than that of the Rhine. The Nile and the Ganges are intimately associated with the early history of civilization and the mysterious beginnings of wisdom; the Tiber is eloquent of that vanished Empire which was the first to carry the torch of advancement into the dark places of barbarian Europe; the name of the Jordan is sacred to thousands as that first heard in infancy and linked with lives and memories divine. But, universal as is the fame of these rivers, none of them has awakened in the breasts of the dwellers on their banks such a fervent devotion, such intense enthusiasm, or such a powerful patriotic appeal as has the Rhine, at once the river, the frontier, and the palladium of the German folk. But the appeal is wider, for the Rhine is peculiarly the home of a legendary mysticism almost unique. Those whose lives are spent in their creation and interpretation know that song and legend have a particular affinity for water. Hogg, the friend of Shelley, was wont to tell how the bright eyes of his comrade would dilate at the sight of even a puddle by the roadside. Has water a hypnotic attraction for certain minds? Be that as it may, there has crystallized round the great waterways of the world a traditionary lore which preserves the thought and feeling of the past, and retains many a circumstance of wonder and marvel from olden epochs which the modern world could ill have spared. Varied and valuable as are the traditional tales of other streams, none possess that colour of intensity and mystery, that spell of ancient profundity which belong to the legends of the Rhine. 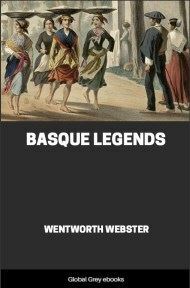 In perusing these we feel our very souls plunged in darkness as that of the carven gloom of some Gothic cathedral or the Cimmerian depths of some ancient forest unpierced by sun-shafts. 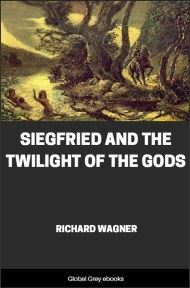 It is the Teutonic mystery which has us in its grip, a thing as readily recognizable as the Celtic glamour or the Egyptian gloom--a thing of the shadows of eld, stern, ancient, of a ponderous fantasy, instinct with the spirit of nature, of dwarfs, elves, kobolds, erlkings, the wraiths and shades of forest and flood, of mountain and mere, of castled height and swift whirlpool, the denizens of the deep valleys and mines, the bergs and heaths of this great province of romance, this rich satrapy of Faëry. Nowhere is legend so thickly strewn as on the banks of the Rhine. Each step is eloquent of tradition, each town, village, and valley. No hill, no castle but has its story, true or legendary. 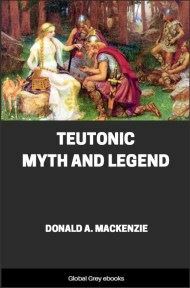 The Teuton is easily the world's master in the art of conserving local lore. As one speeds down the broad breast of this wondrous river, gay with summer and flushed with the laughter of early vineyards, so close is the network of legend that the swiftly read or spoken tale of one locality is scarce over ere the traveller is confronted by another. It is a surfeit of romance, an inexhaustible hoard of the matter of marvel. This noble stream with its wealth of tradition has made such a powerful impression upon the national imagination that it has become intimate in the soul of the people and commands a reverence and affection which is not given by any other modern nation to its greatest and most characteristic river. The Englishman has only a mitigated pride in the Thames, as a great commercial asset or, its metropolitan borders once passed, a river of peculiarly restful character; the Frenchman evinces no very great enthusiasm toward the Seine; and if there are many Spanish songs about the "chainless Guadalquivir," the dons have been content to retain its Arabic name. But what German heart does not thrill at the name of the Rhine? What German cheek does not flush at the sound of that mighty thunder-hymn which tells of his determination to preserve the river of his fathers at the cost of his best blood? Nay, what man of patriotic temperament but feels a responsive chord awake within him at the thought of that majestic song, so stern, so strong, "clad in armour," vibrant with the clang of swords, instinct with the universal accord of a united people? To those who have heard it sung by multitudinous voices to the accompaniment of golden harps and silver trumpets it is a thing which can never be forgotten, this world-song that is at once a hymn of union, a song of the deepest love of country, a defiance and an intimation of resistance to the death. Wer will die Strömes Hüter sein? Fest steht und treu die Wacht am Rhein."